All homeowners who are looking for the best and the most advanced way to keep their home clean at all times will have to consider central VAC systems. These systems are not a new thing, and they have been among us since the 19th century, but in recent years they became more popular than ever before. Here you will be able to see the central VAC systems reviews of the most popular systems that come with the most appealing features. Guide for central VAC systems: Which factors must be taken into account? Sadly there is no a unique or generalized rating system that can be taken into consideration and be used for ranking all of these VAC systems. On the other side, there are a lot of important factors that can be used in a unique combination to help you get the best and the most appealing VAC system of them all. This is precisely what we are going to do here. Below you can see main factors to consider when it comes to looking for the best VAC system. This factor refers to the collection system a VAC system uses. It can be either bagless or bagged. Both versions are decent and they offer great advantages, but bagless units won’t require from you to purchase replacement bags on a regular basis. Even if you have the best model available in the market, you will have to use one of these two options meaning that eventually, you will have to empty the VAC system. This is a simple factor that refers only to the filtration mechanism a VAC system uses. There are countless options out there. Some use filters, others different filtering stages and others use permanent, self-cleaning filters. The last options are the best and the most cost-effective alternative. As the name suggests, they will clean themselves and they are extremely durable, so there won’t be any complications with it. Permanent filters have been used in commercial models with the best suction and massive size. Even today these filters are the best and very appealing. HEPA stands for high-efficiency particulate air and it is simply the best and the most sophisticated system for air filtration there is. Always look for it if you are looking for the best unit of them all. HEPA filters are extremely effective, up to 99.98% and they offer the best value for money. Obviously, not all VAC systems support HEPA. This factor can make a huge difference after all. In essence, each VAC system is designed and made for a house of a specific square footage. As such, we have models that are developed for 6.000 square feet, others for 7.500 square feet and some for 12.000 square feet. Obviously, your home will determine the need for the VAC system you actually need. It is always a better option to get a more powerful unit, simply because you will have the additional power when need it. Nowadays most manufacturers started advertising the noise levels their VAC systems make. The lower is better actually. As such, we have models with 60-70Db. Those that have 58 dB are the best when it comes to noise generating. The factor isn’t the most important of them all but can make a huge difference if you live with a big family in your home. Of course, you will want to consider do you have small children or don’t. There are several types of materials used in the construction process of the VAC systems. You can choose between steel, aluminum, metal and composite materials. As you may believe, steel is still the best option and the most durable one. Composite materials are decent, but they may get damaged easily due to the nature of the material. Aluminum is a decent alternative as well, but steel is simply the best. Try to remember that in a case of a repair, steel components will cost more. There are two types of the motors used in VAC systems. The first type is bypass engine, which won’t be directly in touch with water or debris. As you may deduce, this is a more appealing, or better said more desirable unit. It can last longer and the risk of a damage or a malfunction is much lower. Thru flow motors are the second option. The main issue is actually in their design, which makes them a less desirable option. The debris and water can reach the components of the motor and cause damage. That’s why always look for bypass motors. You definitely don’t want to replace a motor! Here we have an interesting factor to consider. The drive diameter can make a huge difference in determining the suction power of the entire system. As you may believe, the bigger is better in this case scenario. It cannot be generalized, due to the fact each brand may use its own drive diameter. On the other hand, all drive diameters that are 5.7 inches or higher are great options. Everything that is under 5.7 inches won’t be mentioned in the specifications, keep that in mind. You may notice that some drive diameters are 7 inches. They are reserved for the most advanced and superior VAC systems and they offer impressive suction. Of course, you should consider them only if you are looking for the ultimate VAC system. As you can see, this refers to the Cubic Feet per Minute of vacuum flow. The bigger is better and simply means that the suction power will be better. It is actually one of the most important factors to consider and it can make a huge difference. Of course, you will have to be careful and to pay attention to the additional elements as well. Central VAC system installation can be either affordable or very expensive. Models that are affordable to install are usually smaller and less powerful. On the other hand, we have units which may be expensive to install, but they are powerful and they can increase property value significantly. Installing a central VAC system also requires time, so be prepared for a few days or hard work and many adjustments in your home. Amp is used to determine the power of the motor. And yes, the higher is better. Sadly, this doesn’t mean that a unit with a more powerful motor will have a better suction or another way around. The factor should help you see the potential of the system. A unit with a higher Amp of the motor has more chances to provide a much better suction. Look for units with 15 Amp and you will make a wise choice. All motors which are rated under 13 Amp will have a hard time meeting your demands. As the title suggests, this factor refers to the ability of the system to lift water. The higher rating is much better. A combination of the water lift and CFM is known as air watts. One factor can significantly make a difference and affect the overall result. In other words, this combination refers to the suction power, but cannot be generalized. For some homeowners, this will be a crucial factor. Some models have a massive size, which doesn’t make them very practical. Others come in small packages so they can be installed anywhere. At the end of a day, it all depends on a specific unit and there is no possibility to generalize the matter. You should pay attention to the installation size in your home. A new central VAC system must fit it perfectly, period. All motors found in these systems can be divided into a single stage or two stage models. Two stage motors generally provide more suction power and they are more appealing for more demanding operations. If you are looking for the best performances and you want them right now, these motors are the only option. One stage motors are less capable when it comes to suction, but they are more durable, simply due to the fact they have just one moving part. Two stage versions have 2 more moving parts, so there are more chances for something to go wrong. After all, you can choose between simplicity and durability and simple power. Central VAC systems are not a new thing, but they are still rare, so FAQ is an essential section here. We will try to find the most important questions you may have at this moment and give the most accurate answers to them. How does a central VAC system operate? There are a lot of explanations online regarding the matter, but most of them are inaccurate or they are filled with annoying terms. In essence, a central VAC system refers to a massive vacuum installed in garage or a basement. It is linked with outlets located in all rooms in the house using PVC pipes or metal pipes. The power unit will generate suction which can be used all around the house. Are central VAC systems more efficient than conventional vacuum cleaners? The answer is yes. These vacuum cleaners are more powerful, they have excellent performances and they can last for decades. But the main advantage is in the filtration, which is simply much, much better than conventional vacuum cleaners have to offer. Can my central VAC system be upgraded? Yes, it can. Just make sure that the installation should use the biggest pipes all around the house. A central unit can be easily replaced within a matter of hours and a new one, more powerful can be installed. What is the central VAC systems cost? The cost of a unit in question will vary, but in general, most of them are under $1.000. Keep in mind that the power and the main features can make a huge difference in the price of a central VAC system and they can help you get your home perfectly clean, or problematic. Here is the best overall system available right now in the market. All the central VAC systems reviews of this system are more than just positive and they are known for the reliability this system has to offer to the owners. But, it is a complex unit that has a lot more to offer. If you are looking for a quality, this system may be the best option. It is made entirely from steel. The attention to details is on a high level and we can say that this is one of the best and the most appealing advantages the system uses. In addition, this is a system, so it comes with all elements included. We all know that the filtration is an important part of vacuuming, so here we can mention the Permeability Micro Fiber Filtration System. It is an advanced system that is capable of filtrating up to 99.98% of all particles from the air. 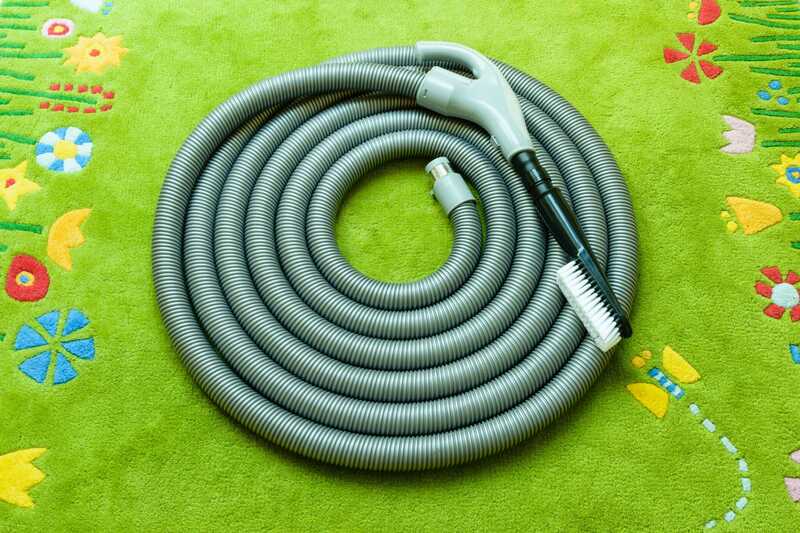 It is considered to be one of the best central vac systems. The model here is actually a mid-range unit, despite the fact most of you believe that it is a professional, high-end unit. It has it all and it is more than just a decent version to get. First and foremost, this particular unit is well-made and comes with a great square footage so it can be used for large homes as well. This unit is already known as one of the quietest models on the market. The noise will make is only 76dB, which is significantly lower than most other models have to offer. Then we have reduced vibrations as well. In a nutshell, using this system is a real pleasure. The motor built in this unit is extremely powerful. It allows for the unit to be used for massive square footages of up to 7.000 square feet. In other words, you are going to get the best performances and the best results, period. The motor is designed in such way that this unit can be piped on either side without any complications or adjustments. Materials: Plastic, steel, rubber and etc. Precisely as we have mentioned already, the model in question offers the superb advantages when it comes to noise and power. The power is 740 W and the noise CV300 makes is only 55 dB. This is the lowest noise at the moment. Nevertheless, this unit offers support for 7500 square feet homes and is considered as one of the most powerful in the class. As you may know by now, this unit comes with a 10-year warranty on the motor. In this case scenario, this is the best or the longest warranty you will ever get, so it must be mentioned. Reasons why and how this is possible are simple. After all, this unit is made by the best with the use of the latest technologies. In order to understand how special or how sophisticated the unit is, we must explain that it comes with an outlet mounted directly on the power unit. As you may know, this allows you to use it next to the power unit, obviously. The bottom line here is that the attention to details is impressive no less. For all these features it’s really on of the best central vac systems. And now we have the most powerful unit of them all. Soon you will see the main advantages, but at the moment we can say that it has 150 CFM motor with 2 speeds. In addition, the attention to details is impressive as well and it must be mentioned. Nevertheless, the pure power of this unit is the main advantage. This is the best unit if you are planning to use it in a big area. When properly set and configured, it will cover 12.000 square feet of space, so it is the most powerful model on the list. Keep in mind that this is one of industrial central VAC systems that is more than just popular as well. As the title suggests, this model uses and offers to you HEPA filtration. There are no filters that must be replaced, but 3 stages of filtration that are used. The bottom line here is that the filtration is the best and the most successful. After all, HEPA filtration is known for being the best of them all. Despite the fact, it is one of more affordable models, this vacuum system is excellent. It all starts with superb overall quality and rich package which includes everything you are going to need for the installation. There are some more direct or more appealing benefits as well. Now we will mention them as well. The motor is the main advantage here. It is based on the latest technology, so it can provide 75% longer lifespan than any other unit. This simply means that your VAC system will operate for a long period of time and it will meet all your requirements. There won’t be any needs of repairing or similar issues. If you are looking for simplicity, then this unit is just right. The feature in case uses HEPA bags which are sealed, meaning that there won’t be a need to replace or empty them after some time. Simply replace the bag and you are done. In addition, the filtration system is probably the best in the class. Our central VAC systems reviews will help you get the best unit as soon as possible. These models are simply the best and they have a lot to offer. Regardless of the fact which one you choose, you won’t have any issues and you will have a perfectly clean home. But for us, the Allegro MU4500 Champion is extraordinary and it actually has 5 out of 5 stars. Maybe you will make a different conclusion, but for us, this central VAC system is the best of them all. In addition, you are welcome to find the one that is more appealing to you and it is here on the list. Very useful review, it was now easy to choose instead of walking around in shops. Thanks!